My husband has often asked me where I find the time to be a ‘great mother to our 2 beautiful children plus take care of (our horses) Shaggy, Busta and Tailey’. I tell him it’s simply – I’m a woman. If you were, you’d understand! :) In reality I have 5 children (6 including my husband) and I wouldn’t change it for the world. I have a passion for thoroughbreds and it’s this that brings me to forward on, what I feel to be some valid advice/tips. There are a range of different horse products available that every owner should consider when stocking up their stables. It is important to get this right and make sure that you get all of the horse supplements that your animal needs to have a healthy life. This is especially the case if your animal is a show horse and enters in competitions because it will constantly be in training and the wear and tear on its muscles and joints will be greater. Also you may want it to be looking in good condition all the time, so it is important that you think of getting the right supplements. Even if you do not enter your horse in competitions you may want to think about getting some of the right supplements and vitamins to help it age gracefully. By doing this you would limit the amount of vet bills that may arise in the future because you have counteracted any problems beforehand. There are a range of different supplements that are available from those that are made purely from herbs and others that are man-made. Here is a quick guide to a few popular companies that will be able to provide some of the best supplements for your horse. Equine America is a brand especially for those who are involved in a lot of competition work. 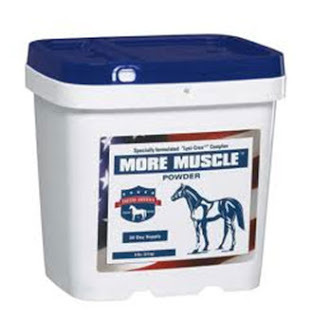 Their supplements are able to aid a horse to legally gain strength and improve their condition. Just like an athlete horses need a period of recovery after training sessions to rebuild their strength. Using these types of supplements provided by Equine will allow your horse to recover quickly and also be in great shape. NAF Products are suited for those who are show horse owners and those who just have a horse for a hobby. Their products range from supplements and nutrition to shampoos and conditioners. NAF are very popular in the horse world and many owners recommend them for their quality. Equistro is suitable for those horses that have a certain condition which needs treating. This company has a range of specialist products that can be found online and are suitable for a range of mild to serious health issues.